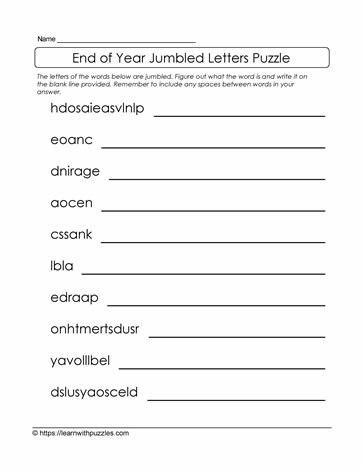 Here is an end of school year jumbled letters puzzle keep kids engaged until the end of the year. The scrambled letters can be one word or more than one word. Remember to leave spaces between the words when writing in the solution. To solve the puzzle, use knowledge of letter patterns and words related to the end of the school year and unscramble the letters for the answer.